OUR GUARANTEE : Offers made by SleepZone CPAP Products are genuine and unconditional and contain no loss leader product pricing, and are for products and prices that are advertised and are in stock at the time of your ordering . All pricing include FREE same day shipping Australia and worldwide. IF YOU ARE an Australian Pensioner needing Financial assistance /advice in the purchase or supply of a CPAP Please give us a call. You SNORE , WAKE UP BREATHLESS , ARE FATIGUED ALL DAY and your family doctor has referred you for a full polysomnograph sleep test at a CERTIFIED SLEEP CLINIC ...OR... You have opted for a sleep screening with a franchaised CPAP distributor or chemist outlet, and CPAP therapy has been recommended, and now you're considering your options of purchasing or trial renting a CPAP machine and feel you need some independant advice and would like to compare pricing , service support and follow up. Or you're considering buying a new replacement CPAP machine or CPAP mask .. and you're a little confused about the type of CPAP machine and CPAP mask you should buy. Or you may wish to know if a prescription is required for you to purchase a CPAP machine or CPAP accessory in Australia? Or you want to know what type of CPAP machine and CPAP mask would be best for you. Or you do a lot of travelling, touring and camping and want to know your best options and choices for portable and battery operated CPAP's. Or you simply want to talk to some one about issues that concern you that you feel are not being addressed by your current prospective CPAP supplier. Fischer Agencies trading as SleepZone CPAP Products,( est. 1994 ), operates as an independent respiratory product supplier and has been doing so for over 20years . 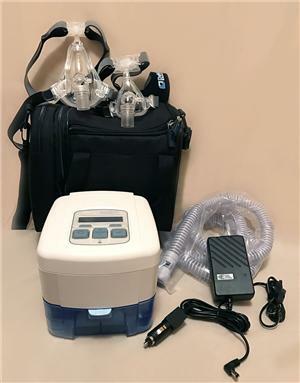 , We are accredited distributors for the DeVilbiss Healthcare range of respiratory products , CPAP's , Oxygen Concentrators and accessories , including the DeVilbiss IGo Portable Oxygen Concentrator system. 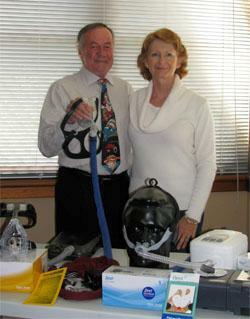 SleepZone are the inventors of heated CPAP tubing which we released onto the market in 2001. Since that time the SleepZone heated CPAP tube has solved the problems of cold CPAP air and condensation rainout for thousands of Australian & Worldwide CPAP users. SleepZone are appointed and accredited distributors for DeVilbiss Healthcare manufacturers of the DeVilbiss SleepCube range of CPAP's and Fisher & Paykel Healthcare Our service base is located in Goulburn, South Eastern NSW, which places our business in the ideal location for our unique service. We offer a personalised consultation service for Canberra and the ACT, Southern Tablelands, Southern Highlands, Southern Sydney, Illawarra & Shoalhaven and NSW South Coast. For first time CPAP users in these areas we offer a no obligation, no deposit, Free trial of a new CPAP machine of your choice. Copyright © 2002-2019, ContACT Internet Solutions Pty Ltd.